Many dogs in this valley are walked/hiked/biked on leash. There are several reasons for this: they may be recovering from an injury, they may not have a strong recall, or they may not be great around wildlife. Two other very common reasons are that the dog may not get along with other dogs, or they may be nervous around unfamiliar people. It can also be dangerous to let on-leash and off-leash dogs meet and greet. The mixing of on-leash and off-leash dogs can increase tensions in both ourselves and our canines. These tensions can lead to dog squabbles, dog fights, long-lasting fear, aggression and/or injury. This is why is of the utmost importance to respect those dogs that are on leash. Ask the owner if your dogs can meet before allowing your dog to approach. Same goes for you! Ask before you pet. 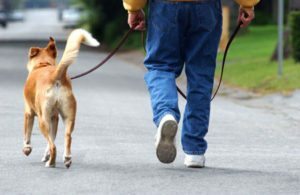 If you see a dog on-leash, call your dog to your side. If they will not stick with you as you pass the other on-leash dog then please put them on a leash. It’s our community responsibility.